Panjab University has revised its orders on the date for practical examinations of fine arts. Though some colleges, adhering to the previous instructions of the university, conducted the exam today, the others had conveyed to the university that they were not able to contact all students in such a short period and should be given more time. PAU pensioners sat on a relay fast here today. They have decided to hold a rally tomorrow and also register their protest at the kisan mela at Ballowal Saunkri. 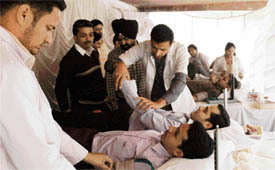 Around 100 persons in several localities of the city, including Kot Mangal Singh, Mayapuri, Janta Nagar and Simlapuri are suffering from jaundice and gastroenteritis since Saturday. It was a black Monday for the city hockey fraternity which was upset over the shocking exit of the Indian hockey team from the qualifying match for the Olympics. The Ludhiana (Rural) police has arrested four members of a gang that had allegedly been stealing food grains from government godowns and selling the same to traders at cheaper rates. About 47 bags of wheat and a TATA 407 tempo was recovered from their possession. Blinded by love for her paramour, Manpreet Kaur left her in-laws house and deserted her two-month-old son over two months ago. Her parents, however, got a case registered against her in-laws. 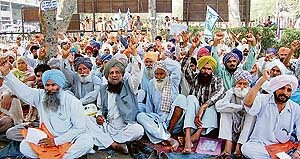 Accusing the Punjab State Electricity Board authorities of befooling innocent farmers of the state by collecting over Rs 2,000 million in the name of ‘Own your tube well’ scheme, the Punjab Kissan Sabha has threatened to launch a movement in case the amount was not refunded immediately. At a water supply and sanitation committee’s meeting organised at Bachat Bhawan,deputy commissioner Sumer Singh Gurjar directed officers concerned to ensure that maximum villages were covered under the World Bank-sponsored water supply and sanitation project. The general house of the municipal corporation here today approved the restarting of the much-needed afternoon water supply in the city besides empowering the mayor to constitute the Financial and Contract Committee and House Tax Committee. Bishnu Kumar and Meena Devi, residents of Aggar Nagar locality in the city, had tears of joy in their eyes when their son, Santosh, fully recovered after a marathon open heart surgery for a triple valve defect and was discharged from the local hospital today. The Budda Nullah Development Committee, constituted by principal secretary P. Ram, has rued that though they had taken up the responsibilty to clean up the polluted water body, they had no support from the district administration. 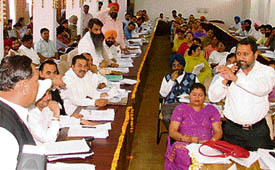 Chairman of the District Selection Committee Varinder Sharma has invited all 1,291 candidates, who have applied for the posts of elementary teachers, to seek any information regarding their candidature. By the year 2020, India will have the maximum number of people suffering from coronary artery disease (CAD). But on the positive side, CAD is not a disease of chance, it is a disease of choice. If we are able to manage the risk factors associated with the disease, we can falsify the above prophecy. Sub-inspector and Khamano additional SHO Sardool Singh (55) died of heart attack early in the wee hours today when he was on night patrol near Farour village. Noted novelist Ram Sarup Ankhi will get Kartar Singh Dhaliwal Award for 2006. As many as 51 volunteers came forward to donate blood at the 2nd blood donation camp organised by Salam Zindagi, an NGO, at Arya College for Boys here today. DSP (Vigilance) Ravcharan Singh Brar inaugurated the camp while principal of the college S.M. 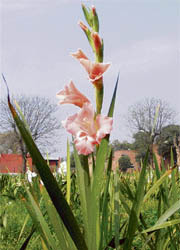 Sharma was the chief guest. A 16-member team of National Defence College, Delhi, today visited Punjab Agricultural University (PAU) and Hero Cycles to assess the essence of growth in the industrial and agricultural sectors. ‘‘Please God don’t give us birth in a small farmer’s family if we are to born again.” These sentiments were echoed by a large number of marginal farmers, who had gathered to urge the Chief Minister to help them in keeping their kitchen fire burning. A tehbazaari team of the municipal corporation today removed encroachments from all four zones of the town. Gurvinder Kaur Kang, deputy medical commissioner of Fatehgarh Sahib, visited Civil Hospital, Khamano, to assess the working of the hospital and check the presence of hospital staff. Two of the staff members were found to be absent. Kang ordered the entire staff to remain present on duty and said action would be taken against the absent employees. The CIA wing of the city police today claimed to have busted a gang of auto-rickshaw thieves with the arrest of it five members. They were arrested from near the Seeds farm in Laddowal yesterday night. Thousands of applicants thronged the excise and sales tax department office here today to submit their applications for allotment of liquor vends in the district. Troubled by spiraling steel prices, the latest in the row is sewing machine industry, which burnt an effigy of union minister of steel Ram Vilas Paswan here today. Traders and assemblers of sewing machines stayed away from business and sewing machine market near Kesar Ganj Mandi here remained closed in protest. 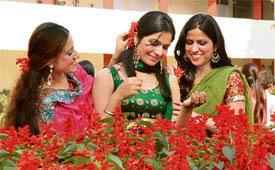 Industrial Expo and Conferences Ludhiana 2008 generated enquiries to the tune of Rs 100 crore. A function was held at Desh Bhagat College of Education, here, to mark International Women’s Day. 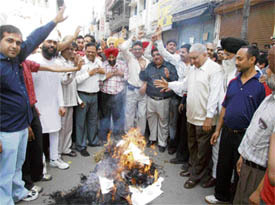 Dr Manju Verma from Punjabi University, Patiala, was the chief orator. Principal of the college Dr T.L. 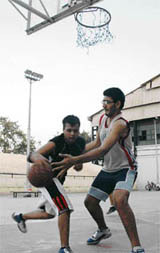 Sagar welcomed the chief guest.